Like we all know, during the ancient times before the invention of modern medicine, people used to rely on natural herbs as remedies to various health-related issues. Be it ailments ranging from respiratory problems to skin related ones, natural remedies were employed not to just cure the illness but also to prevent them from reoccurring in the future. One of such natural remedy that has lots of amazing health benefits for you is peppermint oil. Peppermint oil is an essential oil that is derived from the peppermint plant, and it is sometimes used for cooking purposes. But just few people have the knowledge of the fact that this essential oil have the potency of treating numerous health problems. 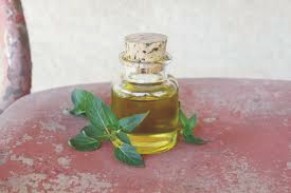 In this page, i shall be sharing with you some of the amazing benefits of peppermint oil. Take your time to go through each of them over and over again, or better still, you jot them down on a piece of paper. Make sure you include them in your diet for a healthier you. Often termed "the mighty pain reliever", peppermint oil is a natural refrigerant that works like an ice park to soothe pain. By simply applying this oil on the affected area, be it an injury or spasm, you can gain relief from the pain and also inflammation. You can make use of peppermint oil in two ways to treat this ailment. Firstly, is either you apply it externally or secondly, you inhale it to get relief from the agonising and annoying headaches. Also it eases the symptoms of nausea, because it has an anti-inflammatory effect. You can use this oil in the same ways as explained above. Apply it externally or inhale it to get relief. When you have a low or poor immune system, you are prone to falling sick almost every time. In order to strengthen your immune system, you can include this oil in your daily diet. It has unique properties that will keep infection at bay and improve the general functioning of your immune system. Another amazing health benefit of peppermint oil is that is possesses properties which improves the circulation of blood. An improved blood circulation is great in maintaining healthy living and keep diseases and sicknesses at bay. The peppermint oil is enriched with cooling agents that have the potency of treating numerous skin and health-related problems. Either you want to use it in preventing acne, blemishes, or getting rid of dandruff, this oil is just the simple answer for getting beautiful skin and hair. Peppermint oil also possesses antibacterial properties, which makes it capable of treating UTI-related issues. From some studies, results shows that consuming the oil can also prevent this infection from recurring. Peppermint oil aids better digestion. If you are suffering from indigestion or bloating, then you might be considering to always include this essential oil in your diet. It aids your bowel movement and promote a better digestion, making you healthier.